Samsung's upcoming flagships might have "six appeal," but its fancy new design will come at a price. 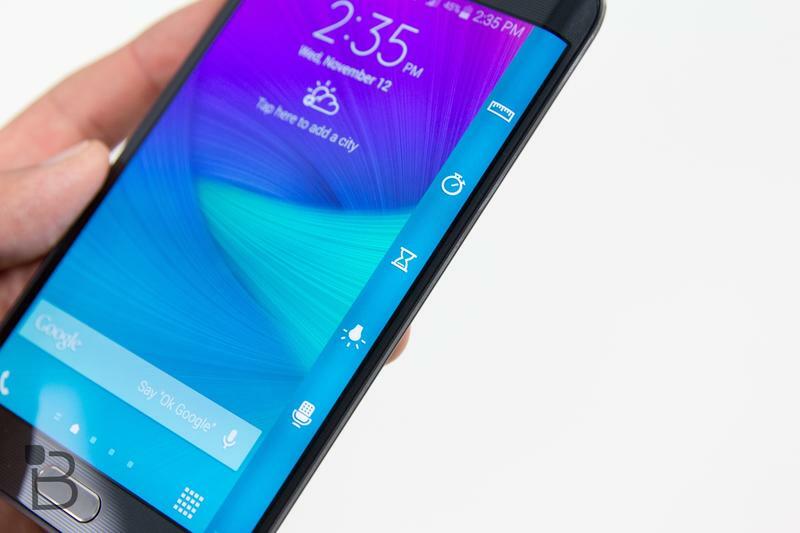 According to sources speaking with ArsTechnica, the top-tier curved Galaxy S6 (128GB model) will cost carriers $1,189, which is even more expensive than Apple's most expensive iPhone 6 Plus. With all the new rumored materials and specs, it sure sounds like Samsung will be demanding a premium for its new gear. That's the bad news. The really bad news is that the Galaxy S6 Edge, which U.S. carriers have been teasing, will be difficult to come by because of low stock. ArsTechnica's source said Samsung is experiencing "yield issues" for the curved display, so even if you wanted to shell out a cool $1,189 for the device off-contract, you'd have a hard time finding it. Apparently only about a third of devices being shipped will feature the curved screen. The prices being mentioned by ArsTechnica's source were converted from euros, and exact conversions are always a tricky thing. But it could indicate the kind of jump in price consumers can expect as OEMs use more expensive components and materials; the cost gets passed on down to you and me, making phones more premium in more ways than one. In addition to the rumored Galaxy S6 Edge, Samsung will also offer a regular version with a flat display, which the source says will come in 32GB, 64GB and 128GB models; European pricing will start at €749 ($849), €849 ($963) and €949 ($1,076), respectively. Remember: these are prices carriers must pay before subsidies are involved, but it's very likely these are the prices folks will need to pay if they want Samsung's new flagship(s) unlocked. For context, Samsung's Galaxy S5 last year started around €650 in Europe (it went for $650 in the U.S.), which is much less than the asking price of the company's cheapest Galaxy S6 Edge (€849). We're expecting Samsung to unleash its new flagships onto the world on March 1, which is just a few days away. These are just rumored prices for now, and the conversion might not indicate what to expect here in the United States. But given the rumored technology involved, it'll be mighty expensive to experience Samsung's curved future. That is if you can even find a unit to begin with.